A handcrafted steel frame from the USA with wheels built in the UK and your choice of finishing kit — the traditional way of assembling a bike has lots going for it. Handmade in the USA. If there is one thing to get a discerning cyclist’s attention, those words on the chainstay do it every time. You can keep your fancy Italian brands — these days it’s the stars and stripes flag next to the frame builder’s name that conjures up romantic notions of a cottage industry that refuses to die. You may not have heard of Gunnar — they’re handmade by Waterford Precision Cycles in Wisconsin — but they typify the appeal of the modern steel frame. We tested their Crosshairs frame, which is built using TIG welded True Temper OX Platinum tubes, favoured among custom builders for its strength due to heat treatment and air hardening. Double-butting keeps the weight down and Waterford makes a point of also using OX, rather than cheaper chromoly tubes, for the chainstays and seatstays forming the rear triangle. Nice touches include stainless steel dropouts that don’t rust and a semi-sloping crown on the pleasingly curved fork. If you think the Crosshairs looks suited to cyclo-cross, you would be right. We did a cross race around a slippery, hilly course and it flattered the rider with its poise and balance. Look closer, however, and the dual bottle cage mounts, rack and mudguard eyes enable the owner to set the bike up for pretty much anything on or off-road. A Gunnar frame sits between a bespoke custom build and a factory-made chromoly steel frame. There is a wide range of stock sizes (50-60cm in 2cm increments plus special order sizes) and four colours to choose from. For less than a grand, a Gunnar gains you entry to the exclusive world of custom steel. 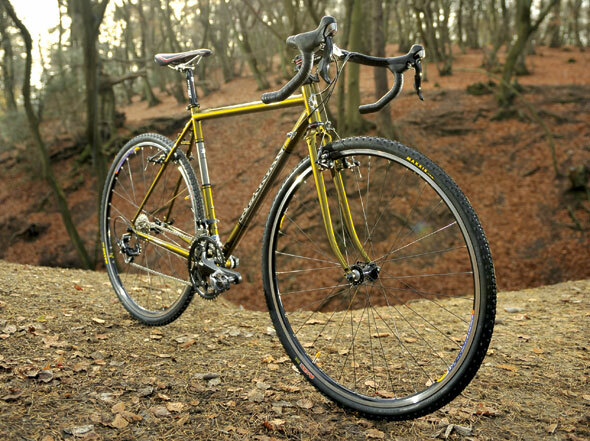 Southampton-based Rock.n.Road Cycles are one of only three UK outlets that bring Gunnar frames into the UK. RnR can build up any of the six Gunnar frame types, which range from fast road to MTB, and the mix of components is up to you, the shop and your wallet. A big plus is the opportunity to spec the bike with hand-built wheels by Rock.n.Road’s ace wheelbuilder Andy Belfrage. Andy’s all-black 32-spoke Mavic Open Pro rims on Miche Primato road hubs add massively to the Crosshair’s appeal. His signature touch is to add an eye-catching anodised gold spoke in each wheel. It’s a classy and very individual touch — just what custom bikes are all about. Once you’ve changed the frankly crap Tektro brake blocks for something that actually stops the bike, the Crosshairs is an absolute blast to ride. Fork-mounted cantilevers are fitted because they allow fitting of 35c tyres and mudguards and they won’t clog with mud. A top carbon frame might weigh two pounds less than the Crosshairs, but steel matches carbon for ride quality and sheer toughness. Ride into the side of a big solid object — like a car, for instance — and all you are likely to do is bend the front wheel rim. Your wretched tester did just that and was somewhat relieved that the rim was the only casualty. There was no damage to the frame or the forks and, because the wheels were hand-built, a new rim and the cost of a rebuild was all that was required to put things right. Who knows how a carbon frame would have held up to a front-end shunt? Even the smallest crack in the frame would spell an expensive write-off. If you are looking for reasons to buy steel, you’ve got a big one right there. Credit goes to Gunnar for getting the frame geometry just so, erring on stability with a laid back seat (72.5º) and neutral head (73.5º) tube angles (54cm frame). The fork rake is 4.5cm, promoting comfort at the front end and making it a pleasure to swoop through corners with minimal input. Gunnar has refrained from raising the bottom bracket height to increase ground clearance. On this all-rounder, it’s a sound decision and actually a bonus off-road as it aids stability by lowering the centre of gravity. Our test bike ran with Shimano’s 105 10-speed groupset with a compact chainset in matte black. It does an exemplary job and quality Ritchey Pro bars, stem, headset, seatpost and saddle complement the stealthy look. What a tasty package: a custom US-made frame with handbuilt UK wheels, Japan’s benchmark groupset and a quality finishing kit. Owning this bike would be deeply satisfying. It’s a soulful rig that stands alone against the identikit racer brigade. Mavic Open Pro rims / Miche Primato Sintesi hubs / DT spokes. Here’s another US-designed bike but it’s not a custom build like the Gunnar, nor is it steel. 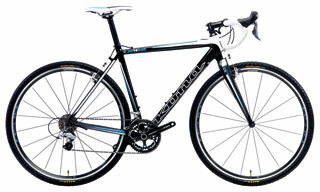 It has an aluminium frame and carbon fork with Shimano 105 and Ultegra mix components. If you want to race cross or just like hooning around the woods, the Kona will save you a chunk, but it’s not as versatile (no mudguard or rack eyes) or exclusive as the Crosshairs.